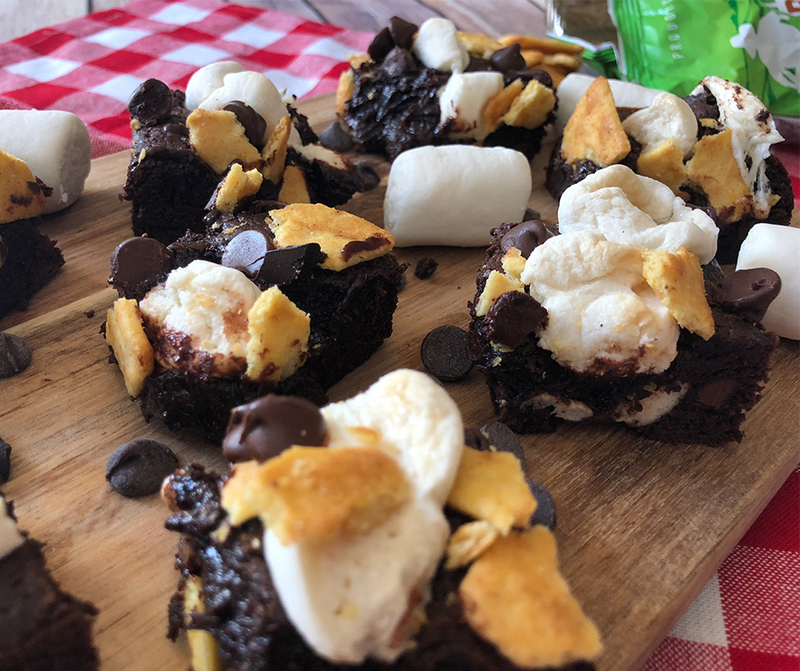 Farmer’s S’mores Brownie Crisps Bars – Rich, fudgy homemade brownies topped with Farmer’s Pantry Cornbread Crisps, marshmallows and chocolate chips! Preheat oven to 350 degrees. Line an 8×8 inch baking pan with foil. Mix together Farmer’s Pantry Cornbread Crisps crumbs, sugar, and melted butter. Press into the bottom of the baking pan. Bake for 8 minutes.